N.E.S.T. ATV Fleet is Ready to Roll! 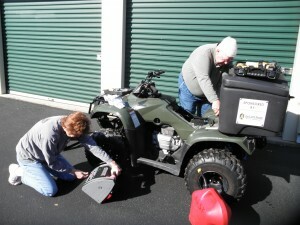 Peggy Cathey and Jim Bailey checking tire pressure....ATV work is never done! N.E.S.T. volunteers recently readied the “Green Machines” for the upcoming nesting season to begin on May 1. 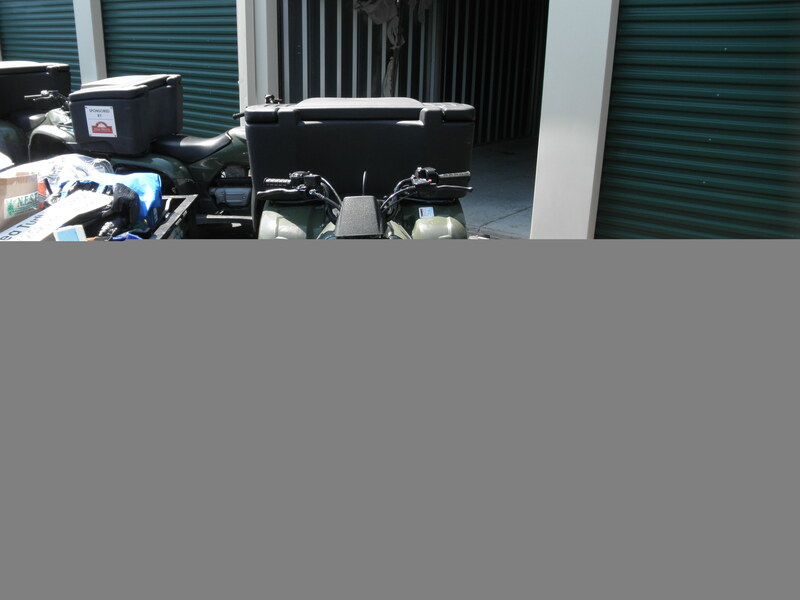 ATV Coordinator Peggy Cathey along with ATV Run Coordinators Dennis Pohl, Jackie Orsulak, and Jim Bailey, recently went to our storage unit to gear up the fleet (Bob North is also one of our run coordinators but could not attend). Jackie Orsulak and Jim Bailey hard at work on the batteries! They installed front signs, did oil changes, checked tires and batteries, and even got in some test runs while they were at it (you know they saved the best part for last!). 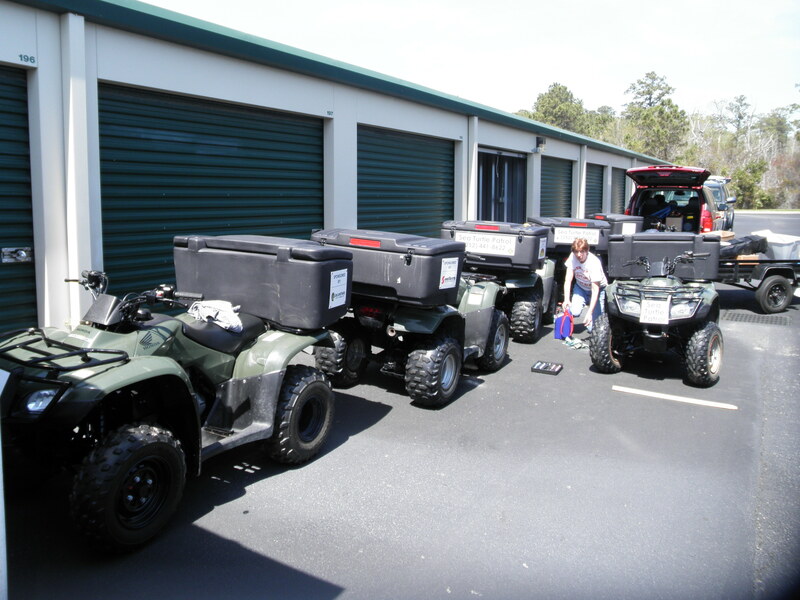 This team of volunteers also made arrangements to transport all of the ATVs to their appropriate routes for the nesting season, currently we have 5 which cover approximately 60 miles of beach on the Outer Banks. 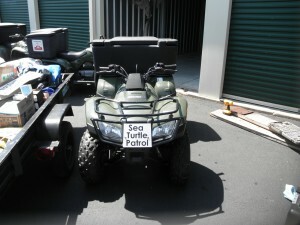 Sea Turtle Patrol here we come! N.E.S.T. is currently raising funds to purchase a new ATV to replace a very well used one for one of our Corolla routes. If you would like to make a tax deductible donation to help on this effort or know of a business that may be interested in sponsoring a new ATV, please email N.E.S.T. at nest_obx@yahoo.com. 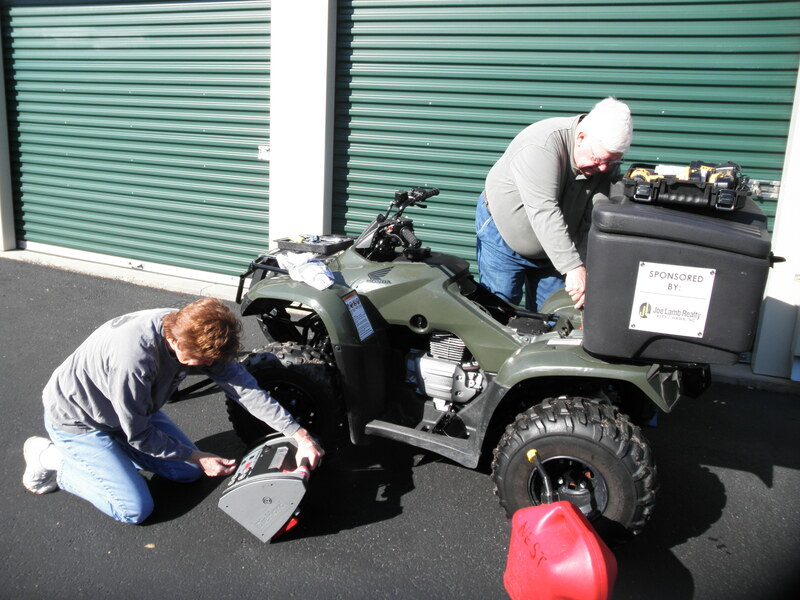 We would like to thank our current ATV sponsors who donated monies last year to help cover the cost of an ATV run for 5 years and provide storage boxes for each ATV: Carova Rentals; Joe Lamb Realty; Rose, Harrison & Gilreath, P.C. ; Southern Insurance Agency; Stan White Realty & Construction; and Twin County Motorsports. The Green Machines are ready for the 2014 Nesting Season! And….A big shout out and thank you to our ATV Coordinators and the many volunteers who are looking forward to a great nesting season this year! Thanks to everyone for all of your hard work! !